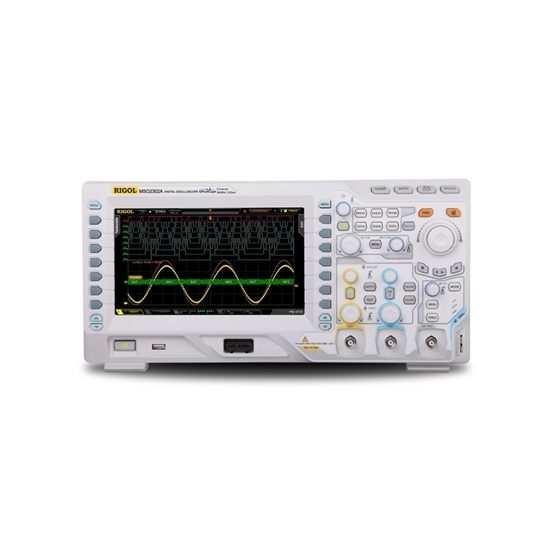 This Rigol 300 MHz bandwidth economical digital oscilloscope with high performance, which is designed with dual channels and 2 GSa/s maximum real-time sample rate. It is the lower price oscilloscope to meet customer's applications via its innovative technology, industry leading specifications, powerful trigger functions and broad analysis capabilities. High performance oscilloscope for testing high speed signal is very difficult to ensure that the amplitude and phase frequency response is absolutely flat because of the wide bandwidth. In order to improve the measurement accuracy, the frequency response of the band is required, so that the oscilloscope and the probe test system have the consistent amplitude and frequency response in the whole bandwidth. DC calibration cannot modify frequency response. The probe AC calibration method is to use the network analyzer to test the S parameters of the active probe amplifier, and to correct the frequency response of the probe by testing the loss of each frequency point. The oscilloscope manufacturer will test the S parameters of each probe amplifier and store it in the memory inside the probe. When the user USES the probe, the oscilloscope reads the probe S parameter for AC calibration.